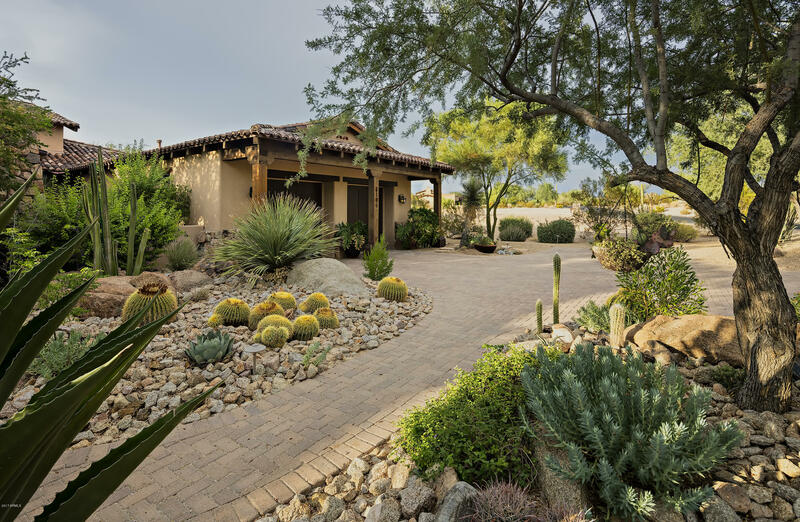 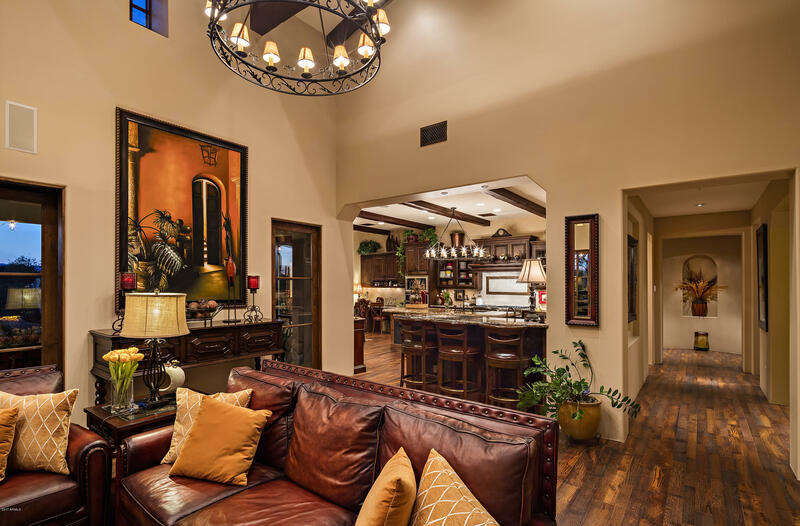 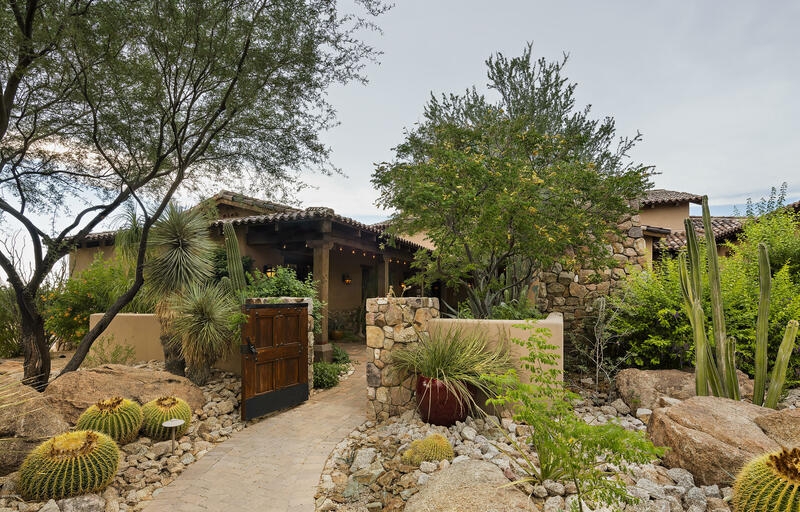 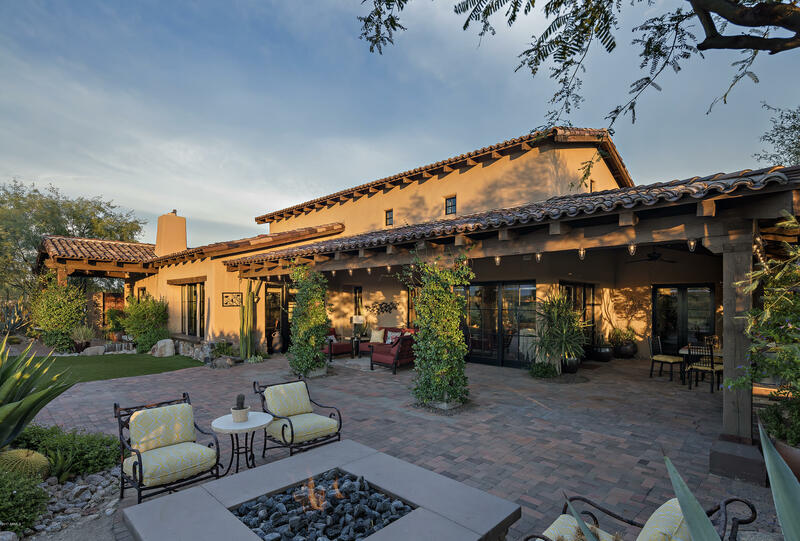 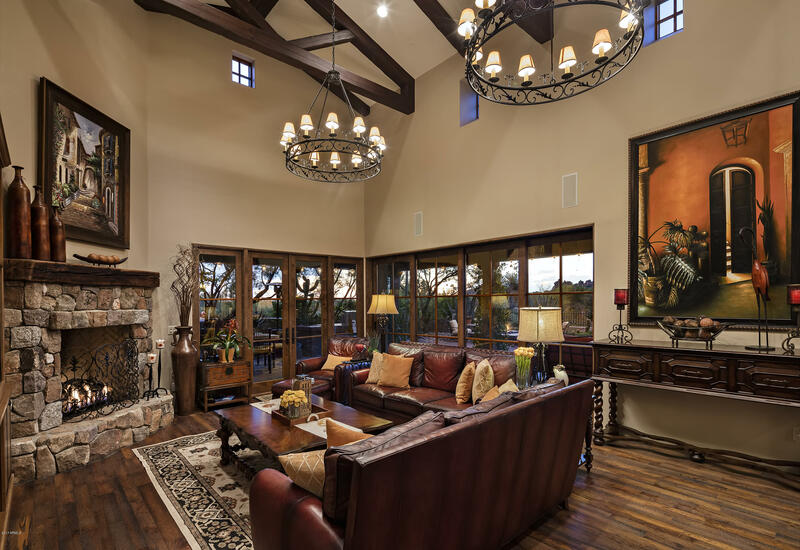 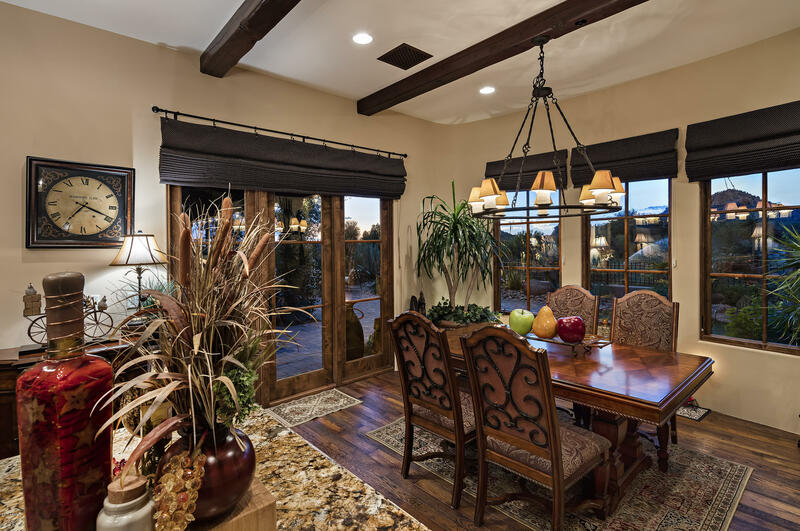 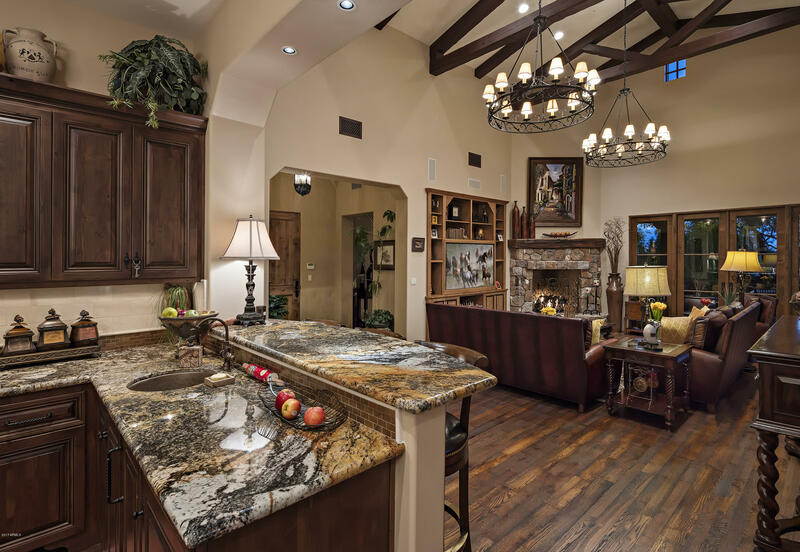 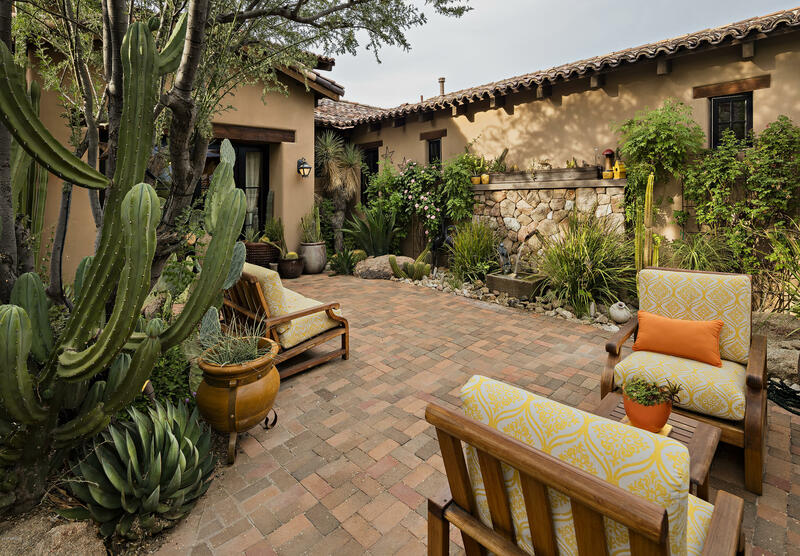 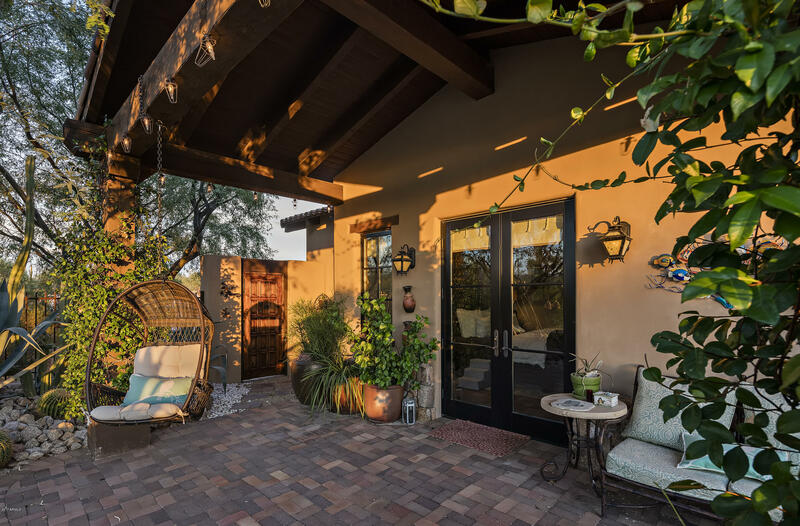 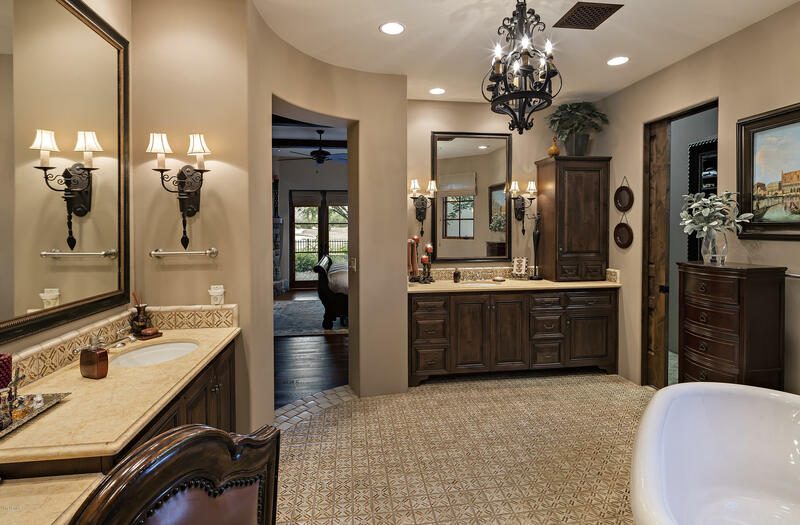 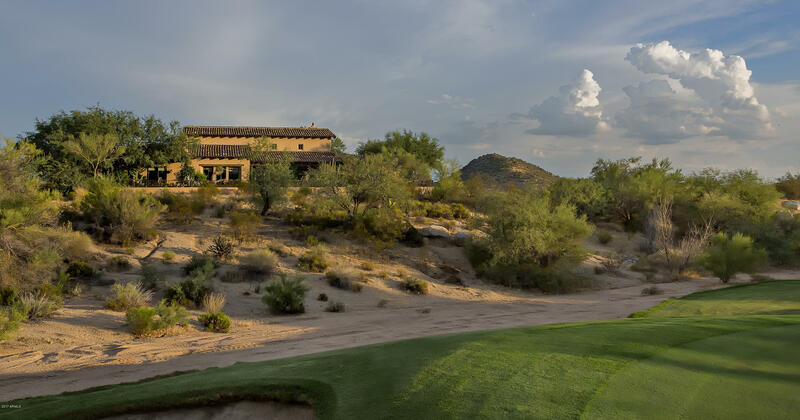 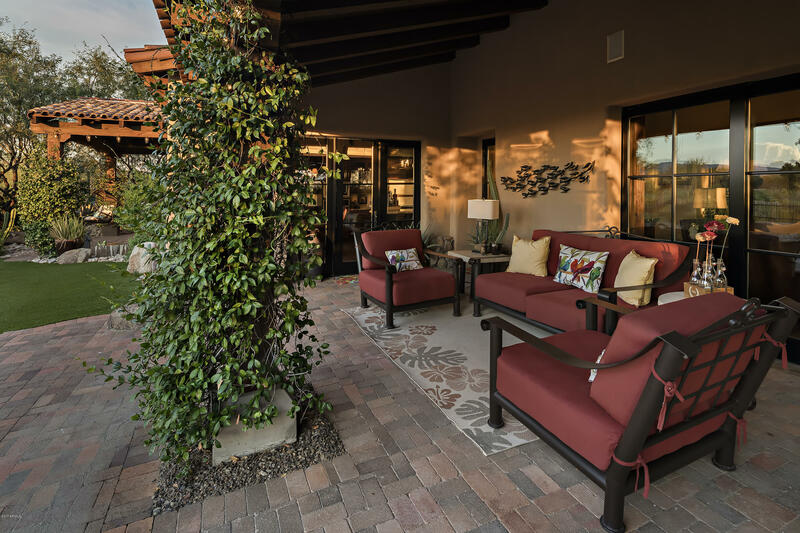 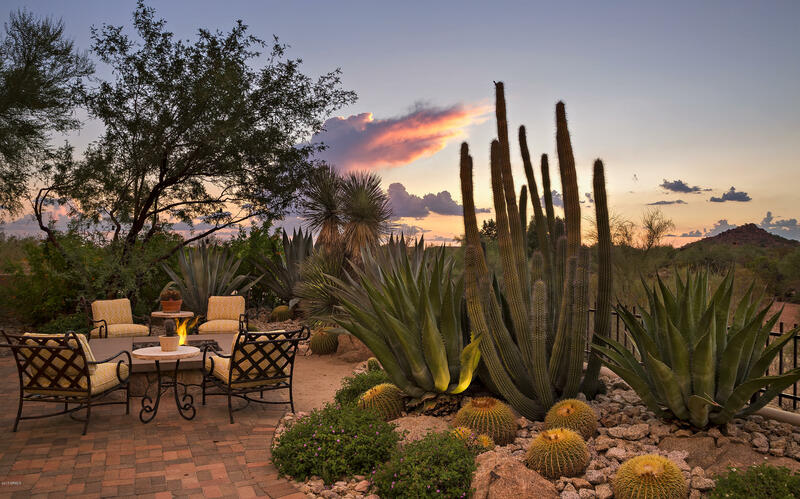 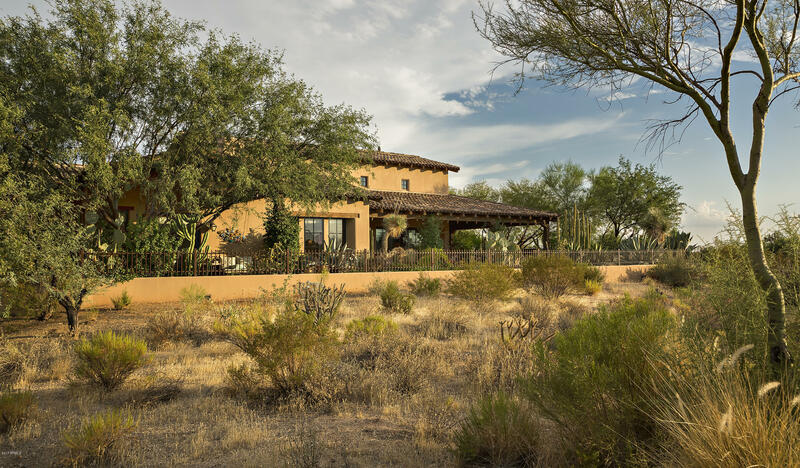 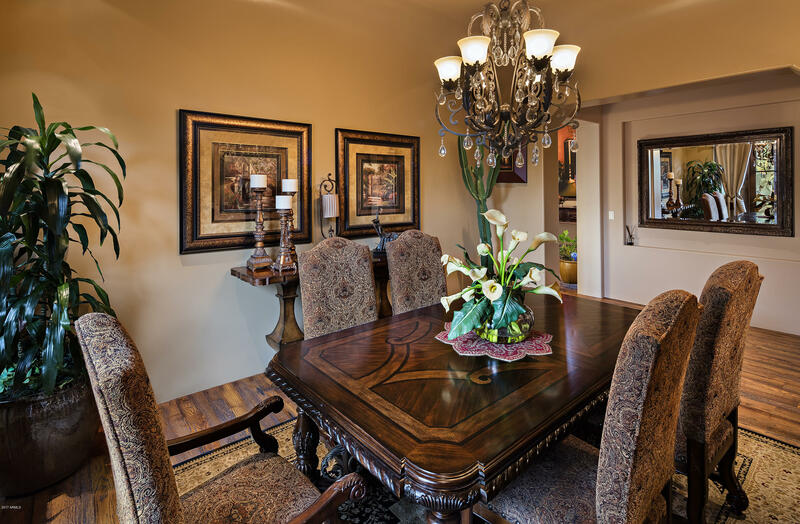 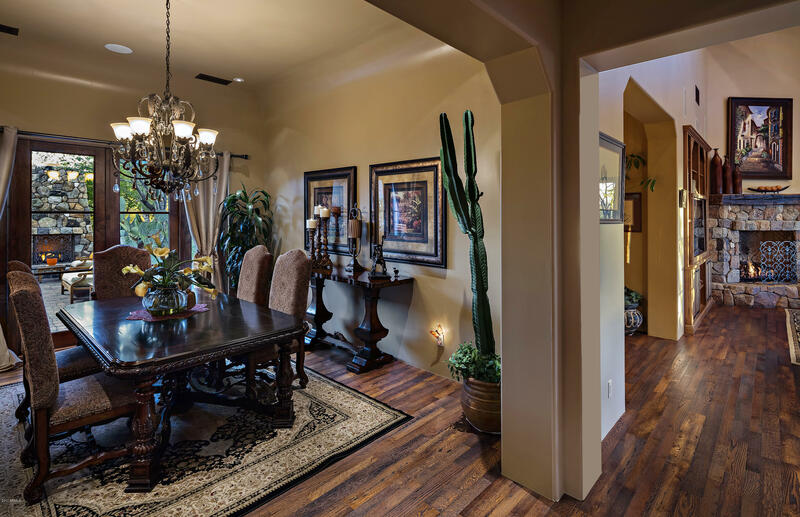 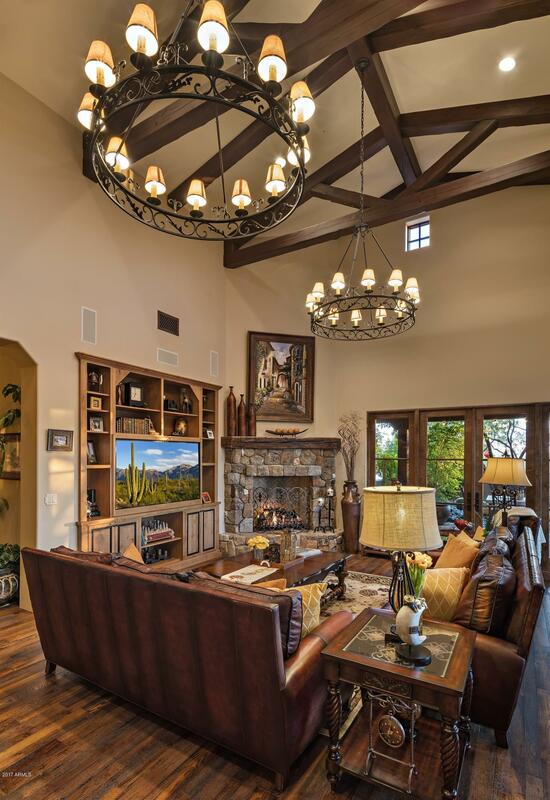 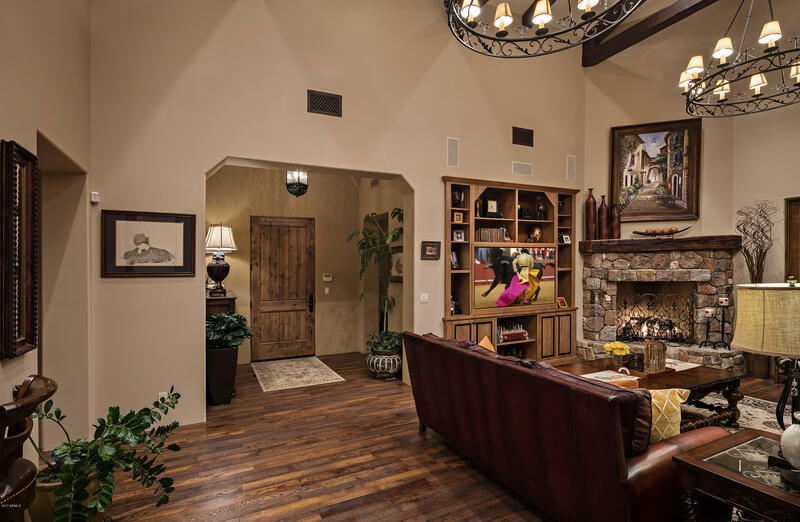 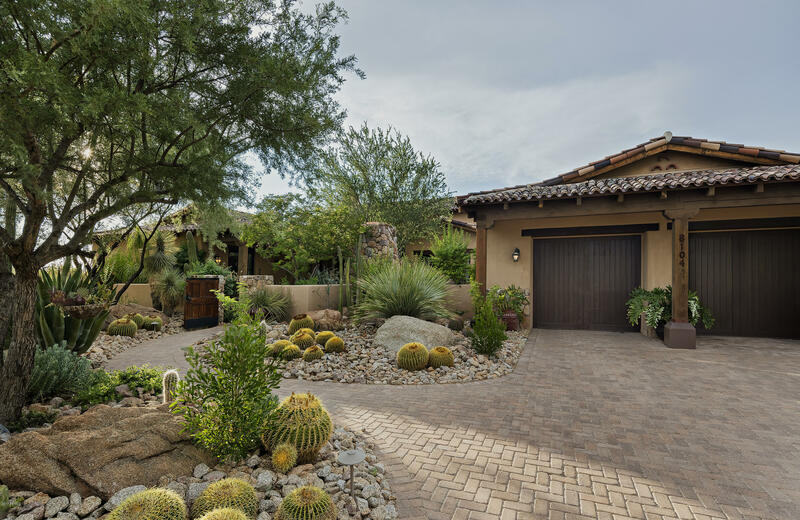 Patterned after Arizona's early estate homes, The Ranch model provides graceful and refined living space that complements its natural surroundings. 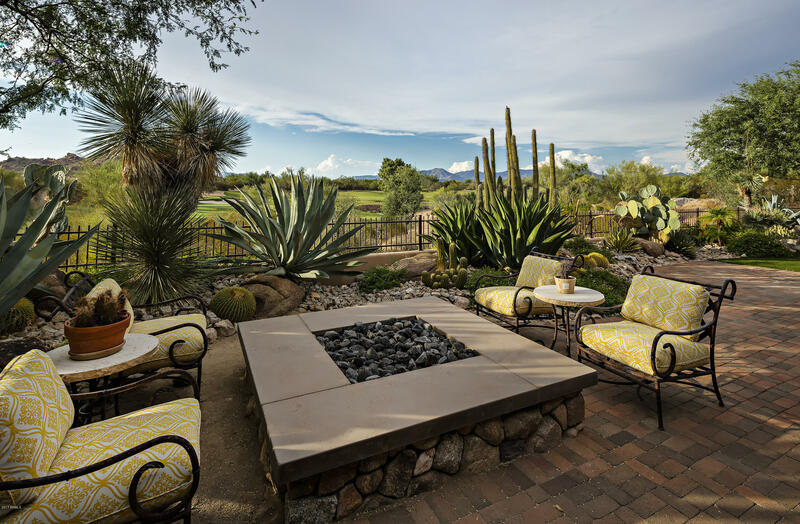 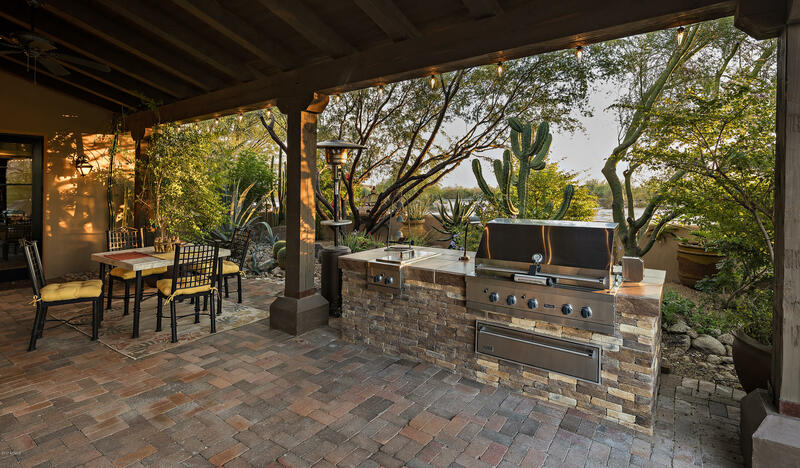 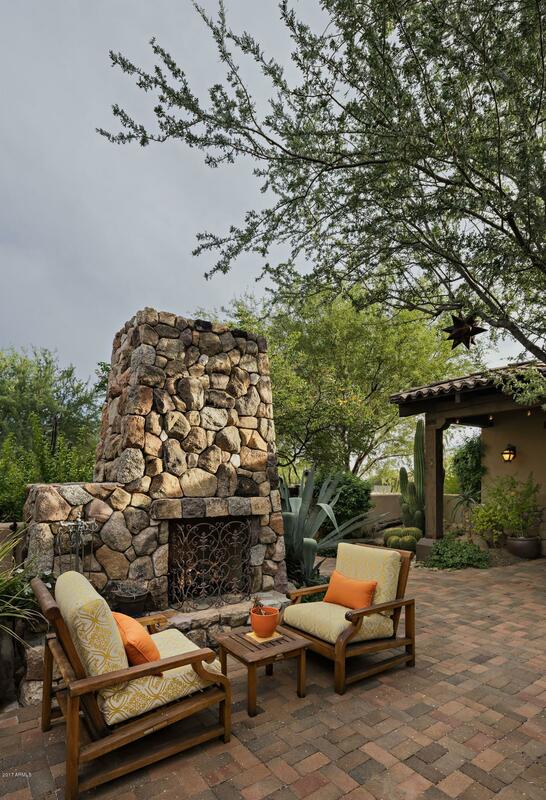 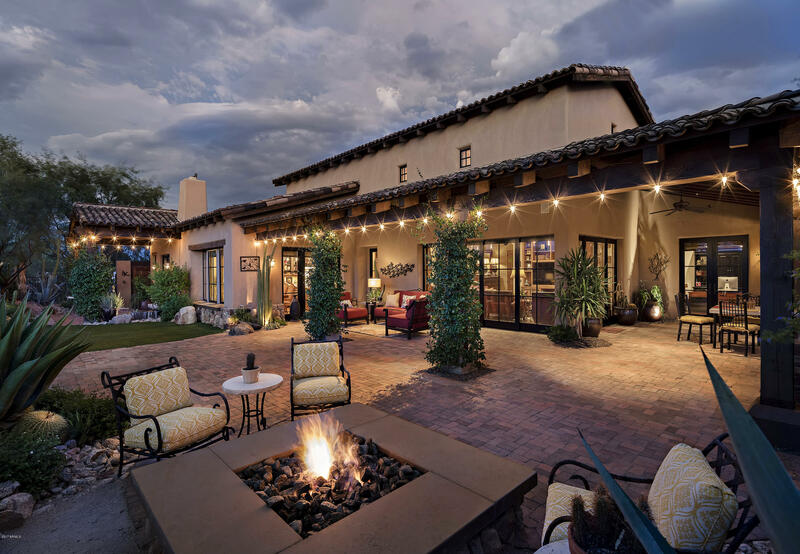 The spacious front courtyard features both open and covered spaces, al fresco dining with fireplace and views of Pinnacle Peak. 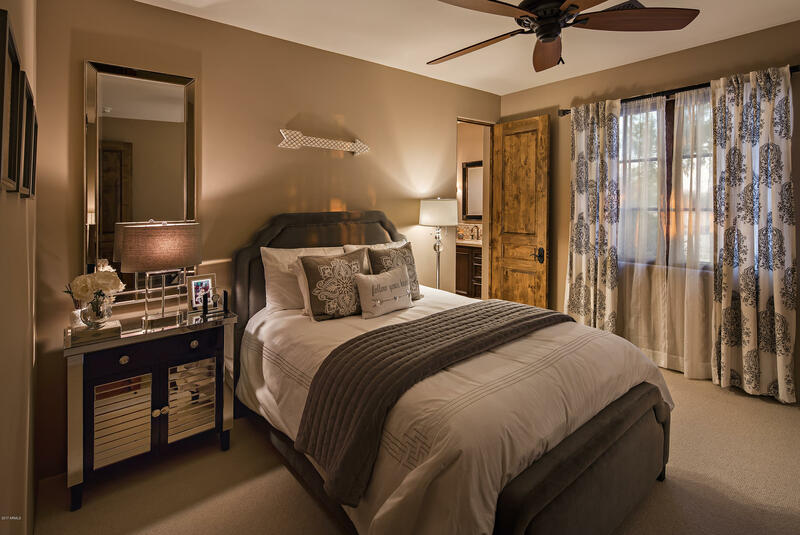 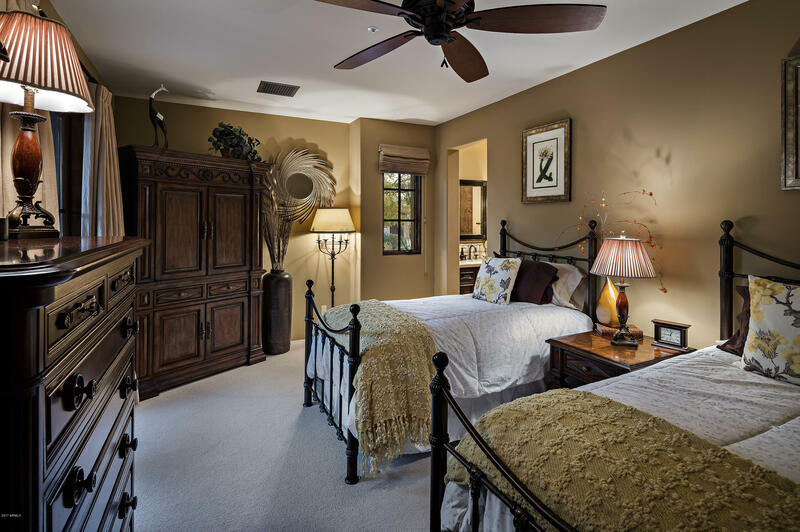 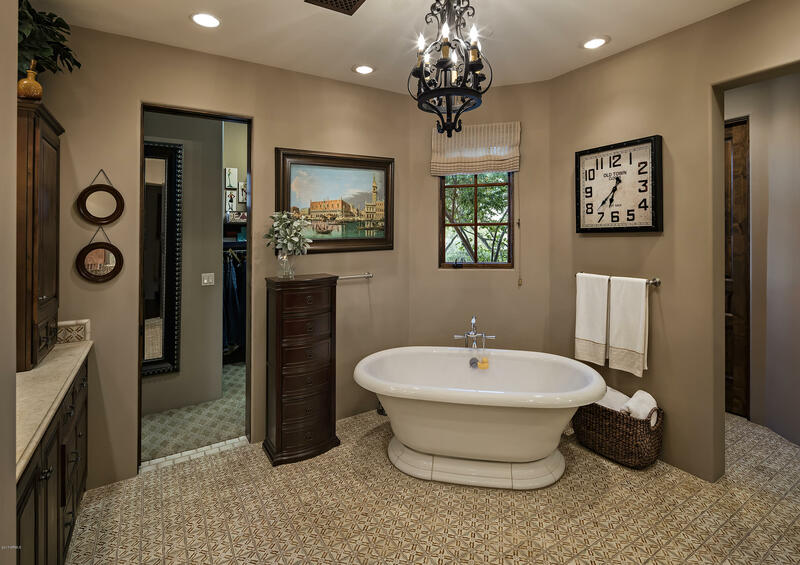 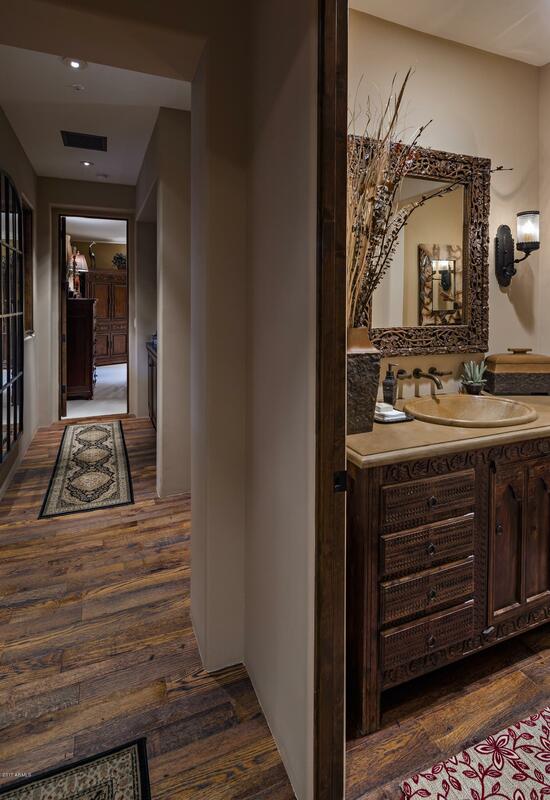 The master suite offers golf course & mountain views and includes fireplace, over sized tub and walk-in shower. 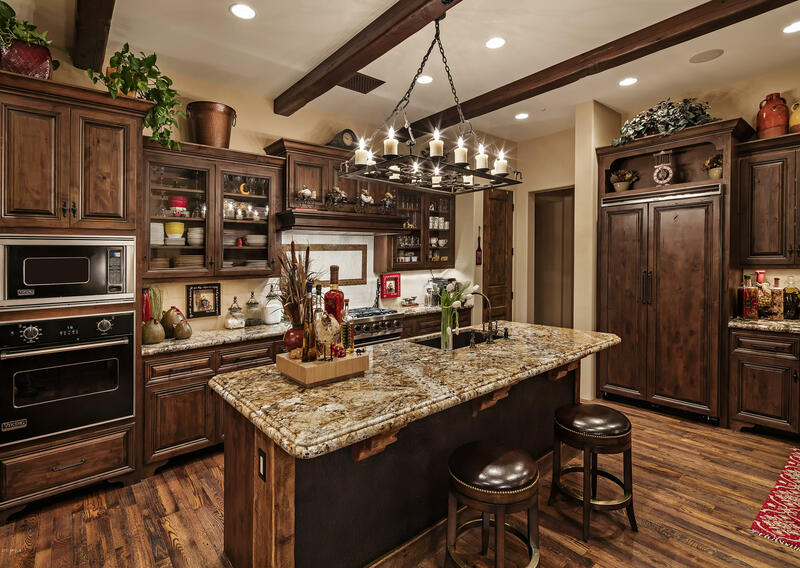 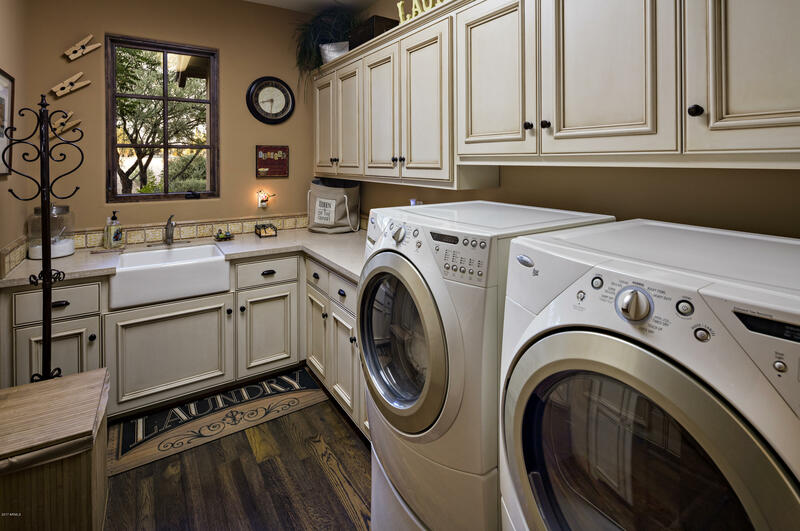 The gourmet kitchen is finished with designer appliances, custom cabinetry, walk-in pantry and wine room. 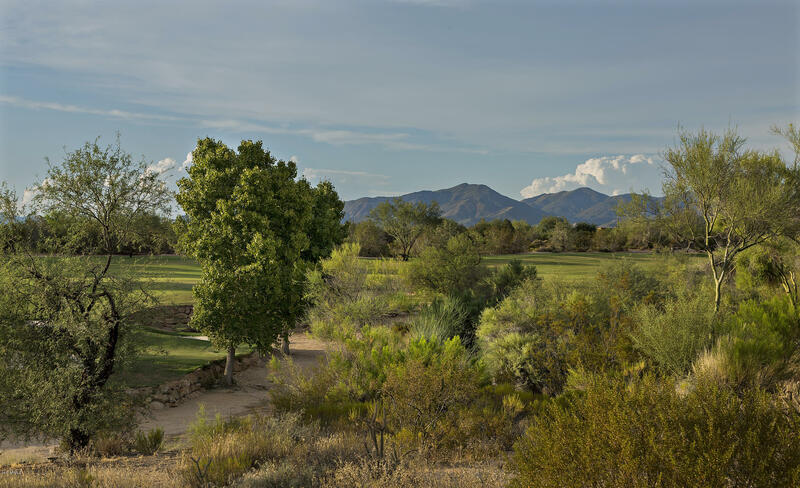 This three bedroom suite, office and great room floor plan offers unparalleled views of mountains, golf course and sunsets.